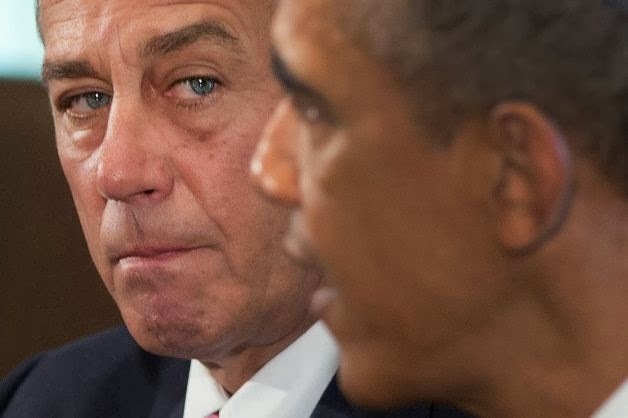 WASHINGTON — Speaker John A. Boehner of Ohio has signaled he may embrace a series of limited changes to the nation’s immigration laws in the coming months, giving advocates for change new hope that 2014 might be the year that a bitterly divided Congress reaches a political compromise to overhaul the sprawling system. Mr. Boehner has in recent weeks hired Rebecca Tallent, a longtime immigration adviser to Senator John McCain, the Arizona Republican who has long backed broad immigration changes. Advocates for an overhaul say the hiring, as well as angry comments by Mr. Boehner critical of Tea Party opposition to the recent budget deal in Congress, indicates that he is serious about revamping the immigration system despite deep reservations from conservative Republicans. Aides to Mr. Boehner said this week that he was committed to what he calls “step by step” moves to revise immigration laws, which they have declined to specify. But other House Republicans, who see an immigration overhaul as essential to wooing the Hispanic voters crucial to the party’s fortunes in the 2016 presidential election, said they could move on separate bills that would fast-track legalization for agricultural laborers, increase the number of visas for high-tech workers and provide an opportunity for young immigrants who came to the country illegally as children to become American citizens. Although the legislation would fall far short of the demands being made by immigration activists, it could provide the beginnings of a deal. For Mr. Boehner, hiring Ms. Tallent suggests a new commitment to confronting an issue that has long divided the Republican Party. Ms. Tallent is a veteran of more than a decade of congressional immigration battles and fought, ultimately unsuccessfully, for comprehensive overhauls of the immigration system in 2003 and 2007. Although Mr. Boehner’s aides say she was brought on to carry out his views and not her own, advocates of immigration change say the only reason for Mr. Boehner to have hired Ms. Tallent is his desire to make a deal this year. In addition, immigration advocates say that Mr. Boehner’s end-of-year rant against Tea Party groups — in which he said they had “lost all credibility” — is an indicator of what he will do this year on immigration. The groups are the same ones that hope to rally the Republican base against an immigration compromise, and while Mr. Boehner cannot say so publicly, he will have more room to maneuver on the issue if he feels free to disregard the arguments from those organizations. Mr. Obama has in the meantime said he is open to the piecemeal approach on immigration favored by House Republicans, but only if it does not abandon comprehensive goals in legislation that passed the Senate last summer. Reconciling the House approach with the broader ambitions of the Senate bill is the biggest hurdle, strategists in both camps say. Advocates for an immigration overhaul will start 2014 with a race against the election-season clock and a new campaign aimed at forcing action on Capitol Hill. Civil disobedience demonstrations are planned in Washington and elsewhere. Business groups are readying lobbying blitzes on Capitol Hill. Labor leaders and evangelical ministers are considering more hunger fasts to dramatize what they say is the urgent need to prevent deportations. The most likely legislative approach, according to lawmakers, White House officials and activists, is a push to pass legislation in the House by May or June — after most Republican lawmakers are through with their primary campaigns — with the goal of reaching a compromise that Mr. Obama could sign before the 2014 midterm election campaigns intensify next fall. If a comprehensive overhaul is not completed by summer, strategists say they could make another push during a lame-duck session at the end of the year, after the November elections. If it did not happen then, lawmakers could wait until 2015, although advocates would have to start again in the Senate because the legislation would expire at the end of 2014. Some party strategists on Capitol Hill remain skeptical about the willingness of Mr. Boehner and the House to embrace changes in the face of conservative critics who say the Senate bill represents amnesty for lawbreakers and does not do enough to seal the border against future illegal immigrants. “They won’t try to push through something that conservatives can’t live with,” one top Republican aide said. House Republicans have a retreat scheduled this month, and are unlikely to make any strategic decisions about immigration before then. Representative Paul D. Ryan of Wisconsin, the chief House negotiator on the budget compromise, is expected to play a large, if behind-the-scenes, role. Immigration change advocates continue to demand an end to deportations, many of which have wrenched illegal immigrants from their families. The deportations have energized immigrants, religious leaders and some law enforcement groups behind their current push for legislation. “I would bet money that it will be done before the presidential election of 2016, but I think there’s a very good chance it will get done considerably sooner than that — in 2014,” said Senator Charles E. Schumer, Democrat of New York and one of the architects of the immigration legislation in the Senate.